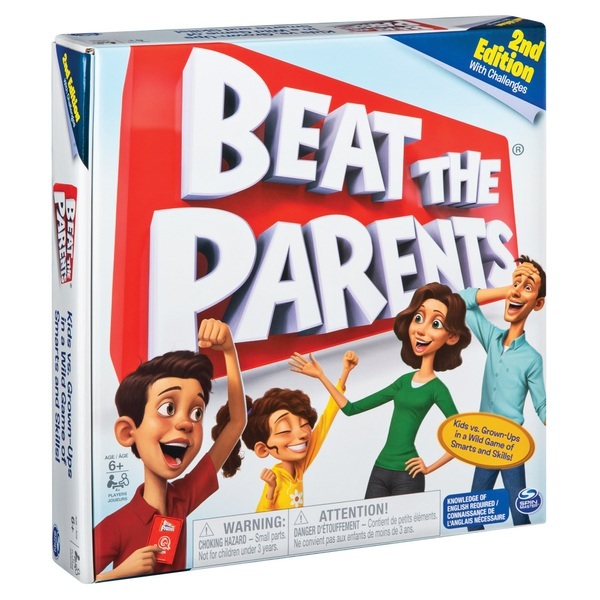 Beat the Parents board game will determine if the parents or the kids are the smartest in the house. Parents are asked questions most kids can answer while kids are asked questions most parents can answer. The first player or team to cross the board with all of their tokens wins the game.